C&G Partners frequently works with JP Morgan Chase to create short, temporary exhibitions in their flagship building, 270 Park Ave. 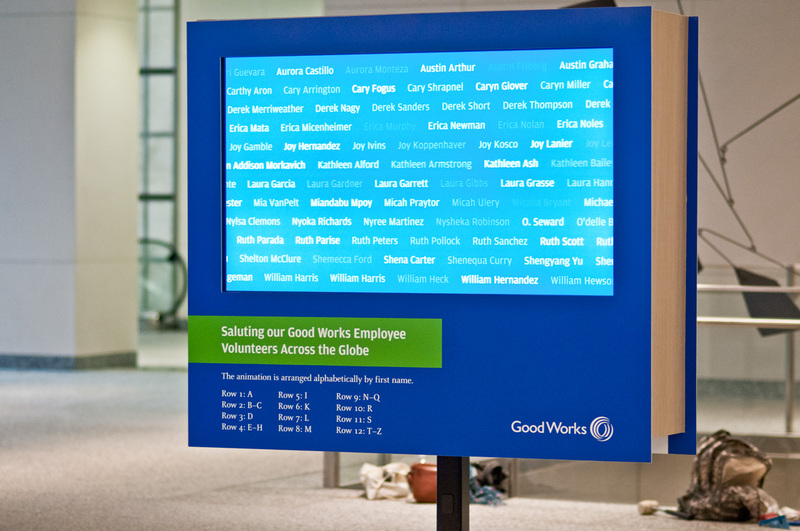 This exhibit sought to celebrate employee volunteers through JP Morgan Chase's Good Works Campaign. 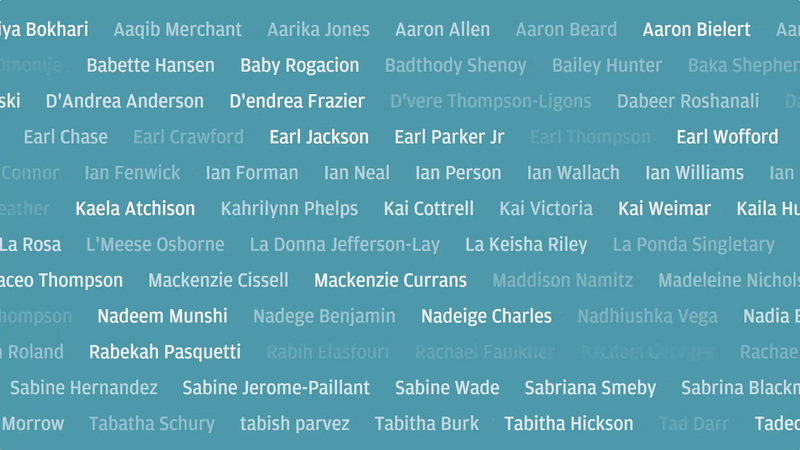 We collected the names of over 20,000 volunteers and created a visualization to display in the lobby. Rows of names were organized alphabetically so visitors could easily check for their name.